← Today’s Menu: DEAL or NO DEAL? Growing up, a steady stream flowing, a few kilometers from where we lived, was our dependable source of water supply for all kinds of purpose e.g. cooking, bathing, washing , etc. The river made life bearable especially during the rainy season. The dry season was usually a nightmare as the stream gradually dried up and the fishes either migrated or died. 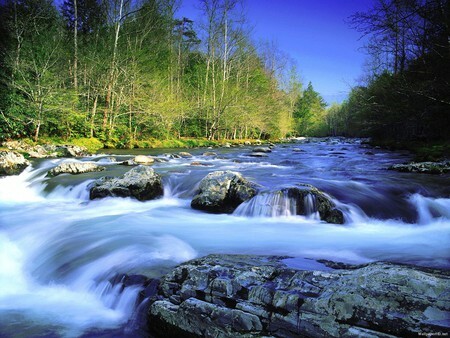 God’s promise is a river that flows from his sanctuary from which many fruit trees will find their nourishment. Every month, the trees will bear fresh fruits, providing food, giving healing and restoration. Open your heart and let the river of God flow through your life today and experience newness every day and for the rest of this year. Have a river-flowing supernatural weekend. God is never slack, forgetful, ignorant, unfeeling or late in fulfilling His promises. As He has said so will He do. Better days are still ahead of us His children in the remaining 45 days remaining for this year to end and for the rest of our lives in Jesus name. Amen. Blissful weekend to us all. Thanks for always touching our lives. Your devotion to writing is inspiring. Keep the faith. God bless you.